The anticipation of a root canal procedure can be nerve-racking for a lot of men and women. The experienced dental team at Plaza Dental Group wants you to know a root canal doesn’t have to be an anxiety-ridden, excessively painful experience. 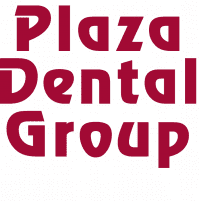 You'll be hard-pressed to find a more experienced dental team than Plaza Dental Group in Ventura, California. The team performs root canal procedures all the time. If you’re concerned about having a root canal, call the office or schedule an appointment online. A root canal is a dental procedure intended to remove oral discomfort and restore your tooth. If your tooth becomes critically infected from the inside, one of the accomplished dentists at Plaza Dental Group takes out the bacteria and any dead or dying tissue. This allows them to protect your tooth and take away your pain. An untreated cavity or oral injury can cause infection in the tissue and roots of your teeth. If you don’t get to a dentist in time, the infected tissue can reach the pulp or root of your tooth. If the infection develops any further this can lead to many other issues, so make sure you seek help. One of the highly trained dentists at Plaza Dental Group can usually fix your tooth within one or two visits. You may first require an X-ray to determine the extent of damage to the tooth needing the root canal. One of the dentists at Plaza Dental Group will use a needle to numb the region and make sure you don't feel anything during the procedure. Every now and then, they stick a small layer of rubber, or dental dam, around the tooth to safeguard it and keep it sanitary throughout the process. After your tooth gets numbed, the dentist makes a tiny cut in your tooth to reach the infection inside the root. Then, your dentist will clear away the unhealthy and infected pulp, then irrigate the area with water to clean it. Ance all damaged substance is extracted, your dentist will either place a temporary filling on your tooth or seal it for protection until you come back for your permanent crown. If you show any signs or symptoms of a tooth infection, be sure to call Plaza Dental Group or schedule a consultation online.